Jung Ji-Hoon (born June 25, 1982), better known by his stage name Rain, is a South Korean pop singer, dancer, model, actor, businessperson, and designer. Rain has released seven albums (6 Korean, 1 Japanese) and 19 singles. He won the KBS Best New Actor award for his premiering role in the drama Sang Doo! Let's Go To School. In 2004, Rain won the KBS Excellence in Acting award for his role in the drama Full House. After starring in A Love To Kill, he acted in his first Korean film, I'm a Cyborg, But That's OK (2006), which won the Alfred Bauer Prize at the Berlin International Film Festival. Rain has acted in the American films Speed Racer (2008) and Ninja Assassin (2009). In 2007, Rain left the management of JYP Entertainment and started his own company, J. Tune Entertainment. Rain spent most of his childhood living with his parents and younger sister, Jeong Hanna, near Hongik University. Despite being an introverted and shy child, he discovered he had a passion for dance when he performed in a talent show for Sungmoon Junior High School. Rain initially had a difficult time balancing dance and academics and received low grades during the beginning of junior high because of his frequent dance practices. He decided to follow his passion and attended Anyang High School of Arts in Anyang, Gyeonggi, where he received his first formal instruction in acting and was able to continue dancing as well. Rain again found he could not focus on both dance and his studies in acting; he was truant on several occasions. Rain lost his mother as she struggled with diabetes and died in 2000. Within that same year, Rain was recruited as a trainee for JYP Entertainment, led by recording artist and producer Park Jin-Young in 2000. In a CNN interview, however, he recalled being repeatedly rejected because of his looks: "In fact, I was told after one audition that my singing and dancing was great but I didn't make it because I didn't have double eyelids." During the early years of training, Rain was a backup dancer. In 2002, he debuted with the album Bad Guy where he was introduced to the media through his stage name, Rain. The album's title single was "Bad Guy" and was followed by "Handshake". After his first album, in 2003, he made his television debut in the KBS drama, Sang Doo! Let's Go To School. Following the success of his debut as singer and actor, Rain released his second album, How to Avoid The Sun, and released the title song "Ways to Avoid the Sun." In 2004, he starred in the popular drama called "Full House" with one of Korea's most popular actresses, Song Hye Kyo. The drama had viewer ratings of over 30 percent for every episode. It was broadcasted in various other countries including the Philippines, Malaysia, Indonesia, Singapore, Vietnam, Thailand, Hong Kong, China, Japan, Sri Lanka,Taiwan, Israel and the United States. His performance in the drama won him the Best Actor Award at the KBS Acting Awards. His third album, It's Raining (2004), sold over 1 million copies in Asia. According to a report by Rain's previous agency JYP Entertainment to the Korea Culture & Content Agency, It's Raining topped the charts in all of the following countries as of December 29, 2005: Japan (100,000 copies), China (500,000 copies), Taiwan (70,000 copies), Thailand (150,000 copies), Indonesia (50,000 copies), and South Korea (154,000 copies), for a combined total of 1,074,000 units sold. Rain then went on his Rainy Day 2005 Tour, starting in Seoul and followed by Tokyo and Hong Kong. The tickets sold out quickly. the Rainy Day global tour in 2005 sold out over 150,000 seats in 8 cities in Korea, China and Japan. His first solo concert in Japan, entitled Rainy Day Japan held at the Tokyo International Forum had all the tickets sold out 30 seconds after going on sale. Rain's fourth album, Rain's World, was released in Korea on October 14, 2006. He acted in his first film, I'm a Cyborg, But That's OK, directed by Park Chan-wook. The film won the Alfred Bauer Award at the 57th Berlin International Film Festival, and was selected as the opening film for the Hong Kong International Film Festival. Also, Rain was nominated for and won Best New Actor at the 43rd Baeksang Awards. His Rain's Coming Tour began on December 15, 2006 at Jamsil Stadium in Seoul and was scheduled to continue through 2007 to the following countries: Singapore, Malaysia, Thailand, Vietnam, China, Japan, Taiwan, Australia, United States, and Canada. His tour incorporated the talents of producers and stage designers (such as Jamie King and Roy Bennett) who have been involved with the concert tours of other artists such as U2, Michael Jackson, Ricky Martin, Madonna, Britney Spears, and The Rolling Stones. Ticket sales were expected to be over US$100 million. Rain released his first Japanese album, Eternal Rain on September 13, 2006. His concert at the Tokyo Dome on May 25, 2007 attracted nearly 40,000 people. Rain was the first Korean artist to perform at the Tokyo Dome, the largest auditorium in Japan. In April 2006, Rain was mentioned in the Time magazine website article that named the "100 Most Influential People Who Shape Our World." Rain stated that he was honored to be on the list, and also noted that it will be a great boost to his efforts to raise his public awareness in the United States. In 2007, Rain topped Time Magazine's online user poll although he was not in the magazine's actual list. He also made it into People's 2007 list of the "Most Beautiful People" in the world. His two-day concert in the United States, Rainy Day New York was marketed and promoted by the Asian concert production company Rainstone Live. Tickets were sold out within a matter of days and the concerts were held at Madison Square Garden. Rain performed two concert dates in Las Vegas, Nevada on December 23-24, 2006; the tickets to these concerts sold out within the first week of sales. These concerts were held at The Colosseum at Caesars Palace. In 2007, Rain was included on People's Most Beautiful People list for the first time, in its "First-Time Beauties 2007" section. In a press release, Rain stated that he was honored to be on the list, and also noted that it will be a great boost to his efforts to raise his public awareness in the United States. Also in 2007, Rain topped Time's open online poll: he defeated Stephen Colbert by 100,000 votes; Colbert jokingly retaliated by producing a parody of Rain's music video for "Ways to Avoid the Sun" called "He's Singin' In Korean". Stephen Colbert then challenged Rain to a dance-off "or a cuddle-off, or a spoon-off". On May 5, 2008, Rain appeared in a surprise guest segment at the end of The Colbert Report, and proceeded to engage Colbert in a dance-off. In the end, Rain won by causing the Dance Dance Revolution machine on which they were competing to overload and explode. On October 16, 2008, Rain released his fifth Korean album, Rainism. Rain released "Love Story", as the first single from the album, shortly followed by the single, "Rainism". On November 24, 2008, The Commission of Youth Protection judged Rain's album, Rainism, inappropriate for people under 19 years old because of the song "Rainism". In "Rainism", the lyrics (translated from Korean) "Trembling inside your shaking body is my magic stick/Feeling the impassable limit of the body shake" were considered problematic due to their phallic and sexual references. Rain has re-released a "clean version" of "Rainism" shortly after, but instead of changing the original album's contents, he has labeled a sticker that deemed "Rainism" inappropriate for those under 19 years old. In 2008, he acted in his first American film, the Wachowski Brothers-directed Speed Racer, where he played Racer Taejo Togokahn. He made his starring role debut in Ninja Assassin (2009), as the main character Raizo. Ninja Assassin was directed by James McTeigue, and produced by Joel Silver and the Wachowski brothers. The project was inspired by the ninja scenes featured from Speed Racer, in which Rain had impressed the Wachowskis with his portrayal as a fighter. Rain concluded The Legend of Rainism Tour at The Colosseum at Caesars Palace in Las Vegas, Nevada on December 24-25, 2009. He performed most of the songs on his recent album, Rainism. The Legend of Rainism Tour had concerts in Japan, Korea, China, Taiwan, Hongkong, Indonesia and Las Vegas. 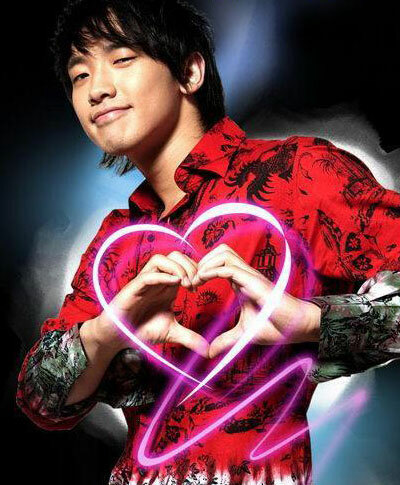 In March of 2010, Rain recently released a new song titled "Love Song." It is said that the song was created in thirty minutes with producer Tae Won. He won his second K-chart for the song on April 26, 2010 against another korean pop star, Lee Hyori. On April 6, 2010, Rain released a mini-album titled "Back to Basic." There are five songs on the album: Love Song, Hip Song, Same, One, and the English version of Love Song. The album was supposed to come out on April 1st, but due to the naval ship tragedy in Korea, it was delayed for a while. In February 2007, Rain and his former management agency JYP Entertainment as well as a concert organizer, Star M Corporation, were sued over copyright infringement of the stage name "Rain," by the U.S. recording firm Rain Corporation. The company, which works with an American band also called "Rain," demanded that Rain drop the English name in the United States. In June 2007, the lawsuit ended because the Nevada District Court determined there was no evidence indicating that Rain Corporation would suffer any actual harm. Since the filing of the lawsuit, Rain's U.S. concert promotional posters had been changed to "Ji-hoon's World Tour 2007"; however, Rain may continue using "Rain's Coming World Tour." On his World 2007 tour, his scheduled concerts in Shanghai, Toronto, San Francisco, and Hawaii were canceled, followed by the last concert in Los Angeles. The last event at the Staples Center was canceled only two hours prior to opening: Rain's producer blamed the situation on financial problems with the local promoter, while the local promoter blamed Star M calling them too "incompetent to handle the situation." On March 19, 2009, a federal jury in Honolulu found that Rain, his former management agency JYP Entertainment, and two other promotion companies were guilty of breaching a contract and defrauding Honolulu promoter Click Entertainment for $2 million (originally just over $1 million) after the Hawaii concert was canceled and the promoters were not refunded the $500,000 licensing fee. Rain and JYP were ordered to pay $2.4 million each in punitive damages, $1 million for damages related to the fraud, and $2.3 million for breach of contract. However, the longrunning lawsuit came to an end on Thursday, January 28,2010 when Judge Bae Kwang-Kuk ruled in favor of the Asian star, blaming poor preparations by the concert's U.S. promoters for the scrapped shows. In November 2007, Rain told the Korean media that he has left JYP Entertainment and started his own entertainment company, J. Tune Entertainment (formerly known as Rainy Entertainment). He was scheduled to be CEO of the company, but told the media that he still kept in touch with his mentor and long-time trainer Park Jin Young. J. Tune debuted MBLAQ, an all-boy group, in October, 2009. * With U - Released December 2006/January 2007 - due to scheduling a proper music video was never made. Instead clips from the movie were used instead. KBS Drama "Love To Kill"
43rd Baeksang Arts Awards: Best New Actor for "I'm a Cyborg, But That's OK"
People's Most Beautiful People list "First-Time Beauties 2007"
HITO Music Awards Tokyo - Best Asian Pop Song "Rainism"
Six to Five is Rain's new and first own clothing line, since it also was his dream to become a fashion designer. It was launched on December 23rd 2008 and was followed with a "fashion show-launch party-mini-concert" to introduce 'Six to Five'. Many stars came to support him, such as Lee Hyori, Kim Suna, Chae-Rim and Girls' Generation's Seohyun. He designs and models the clothing. The label 'Six To Five' is described by Rain as coming from the idea of having an extra sense, ie. from five senses to six. This label name also is said to represent his birth date, 6/25. Rain was involved with MTV EXIT, a campaign against human trafficking in Asia. He presented Traffic: An MTV EXIT Special, a documentary which gives insight into the realities of trafficking, addresses the part everyone can play in the issue, and gives information on how people can protect themselves as well as what people can do to help end exploitation and trafficking.